Mary Arabell Baker, 96, of Pleasant Hill, was born on, July 18, 1922, on the family farm, in the Wingate Community near, Pleasant Hill. She was the daughter of Amber and Nellie C. (Bell) Steele. She departed this life, Tuesday, January 22, 2019, at the Pleasant Hill Health and Rehabilitation Center. On February 14, 1953, she was united in marriage to Cleatus R. Baker. They lived in Kansas City for 7 years before moving back to the family farm in 1960. He preceded her in death on October 6, 1986. Mary was first employed by the Lake City Army Ammunition Plant. Following WWII She entered Templeton Beauty College in Kansas City. 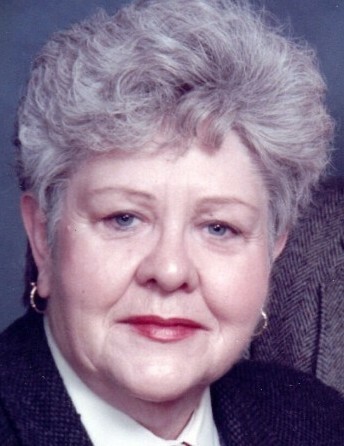 After graduating she worked for Kline’s Beauty Salon for 7 ½ years, Hal’s Beauty Salon on the Plaza for 27 years, and then 25 years with Stabiles Beauty Salon in Overland Park where she retired at the age of 78. She enjoyed flower gardening and her extensive collection of frogs. Mary loved life and people but most enjoyed the neighborhood children who called her Cookie Mary as she always had a cookie for them. Mary was also preceded in death by her parents and her brother James Steele. She is survived by her good friends and caregivers Sylvia and Bill Babylon; several nieces and nephews; and all of her Wingate Community neighbors. Funeral services were held Thursday, January 24, 2019, at the funeral home. Reverend Mark Conway officiated. Interment was in the Pleasant Hill Cemetery. Casket bearers were Jeff Gilbert, Trenton Gilbert, David Parris, Travis Ross, Rody Taylor, and Nathan VanMeter. Honorary Casket bearers were Ronald Parris, Russell Parris, Trevor Ross, Max Schmoll, Jaxon VanMeter, and Lucas VanMeter. Memorial contributions are suggested to the Pleasant Hill Historical Society and may be sent in care of the funeral home.